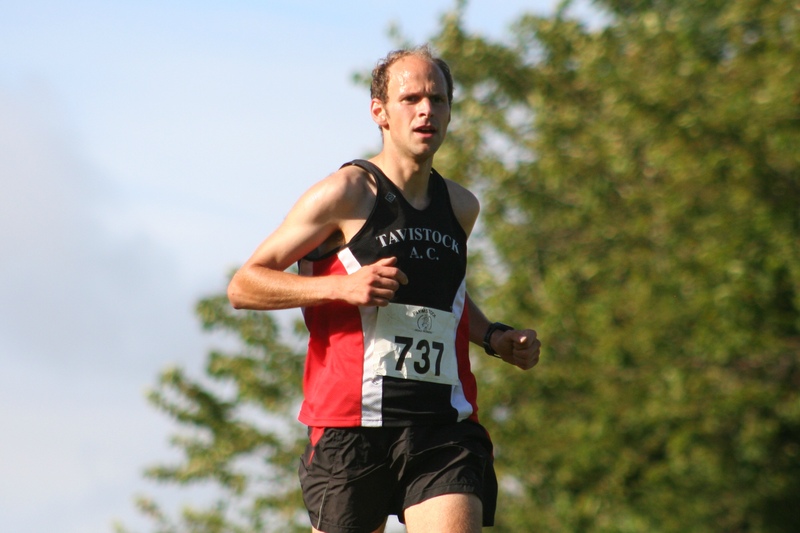 TAVISTOCK’S Neil Barkell claimed his second multi-terrain title within the space of six days with victory at the Duckponds Race on Saturday evening. Barkell had triumphed in the Six Moor Mile event the previous Sunday, where he held off the challenge of Erme Valley Harriers’ Allister Bristow. The pair were again first and second at Duckponds, with Barkell finishing a minute in front of his rival. The Tavistock runner clocked 31 minutes and 46 seconds for the newly-extended event around Randsford Park, which this year involved four water crossings. Bristow came home in 32.47, with Plymouth Harriers’ Neil Mytton third in 33.30. Tavistock over-55 veteran Martin Exley-Deane was fourth in 34.37. First women home was Erme Valley’s Cleo Perry, who had clocked the fastest female time at the Armada Network Summer 5k Series event three days earlier. Perry finished in a time of 36.52, with Plymouth Harriers’ Ami Yetton second women home in 37.50 and Erme Valley’s Sarah Hirons third in 38.19. The Duckponds Race was celebrating its 25th anniversary and hosts Plymstock Road Runners were treated to a glorious summer’s evening for the event. Tags: Duckponds, Neil Barkell. Bookmark the permalink. Really great website that is dedicated to grassroot and local sport. Fantastic photos too.